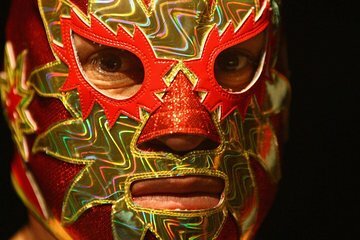 Oplev spændingen ved Lucha Libre - en af ​​de mest populære sportsbegivenheder i Mexico - på en 4-timers aftentur, der inkluderer en middag med tacos og øl. Din guide tager dig først til en populær taqueria til dit måltid, så ledsager du til wrestling mødestedet for at se farverigt udrustede wrestlers konkurrere. Du får også en autentisk brydningsmaske som souvenir på en tur, der inkluderer entré, middag med øl og hotel eller afhentning af havnen. One of the funniest and most entertaining dinner/show combo's I've ever done! My mom and I were looking for something fun to do and this fit us perfectly, how can you go wrong with tacos, beer and entertainment?! The locals are WAYYYY into the lucha libre wrestlers, from baby's in diapers up to grandparents yelling in the rafters, everyone was into it! Whenever I'm in Mexico, I'm definitely going to look for a Lucha Libre show that's for sure. Rudy and Santiago were great guides. They both made my son and myself feel welcomed, safe and informed. Roger and Beto the tour guides were terrific. Our Tacos al Pastor dinner was as good as the wrestling. I did not know lucha libre was the second most popular sport in Mexico. It was a great night I had a great time. I did not know lucha libre, wrestling was the second most popular sport in Mexico. A must in Acapulco! Our tour guides Roger and Beto were great and we had such a fun experience. Tacos dinner and Beer along the night were a great combination. Our group was small so we had personalize atetention. I had such a great time on this tour!